“Nutrition incentives” are matching funds that help low-income shoppers buy produce. 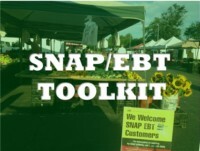 Currently in the form of tokens, incentives match the value of SNAP (food stamps) when spent at farmers markets. Because when low-income customers can afford produce, they buy it. That benefits them, the local economy, the environment and public health. Farmers markets are on the rise here, with 226 locations open in 2016, selling everything from peas to peaches. Half already accept SNAP. Virginians spend over a billion dollars a year in SNAP, but only one tenth of one percent ($163, 000 in 2016) goes to farmers markets. Much of it goes to cheap choices like instant rice and noodles. When more SNAP money is spent on local produce, everyone benefits. Since 2009, markets across Virginia have run their own incentive programs—many funded through a national non-profit called Wholesome Wave. Now Wholesome Wave is helping Virginia markets form a statewide network, called Virginia Fresh Match, to be at the forefront of growing incentive programs and applying for joint funding. SNAP & incentives sales at Virginia markets grew significantly in 2016; markets are positioned to continue this growth in 2017. Many of these locations receive federal funding for incentives through Wholesome Wave. But these funds last only through March 2018. Now it is essential that Virginia market operators together secure funding so these programs can continue. 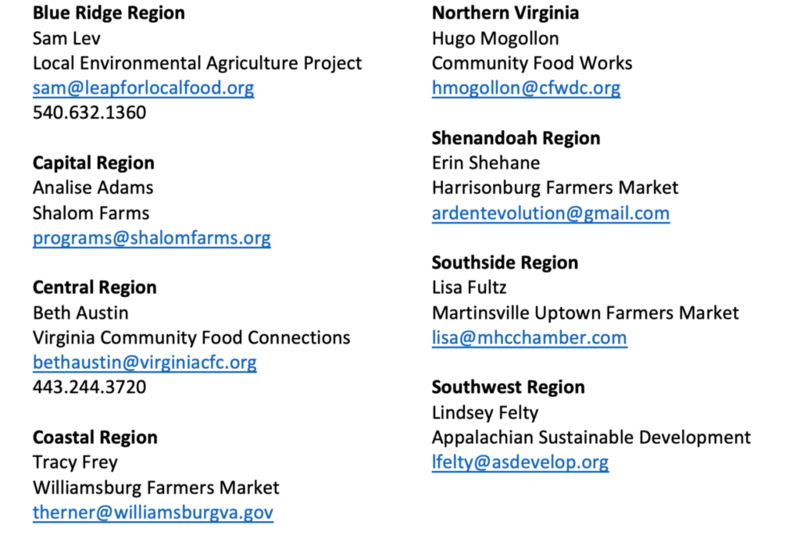 Virginia Fresh Match, aligned with the Virginia Farmers Market Association, is preparing to apply for a grant in 2017.